The VERY BEST Rack Oven Baking! High volume bakery, restaurant or kitchen? 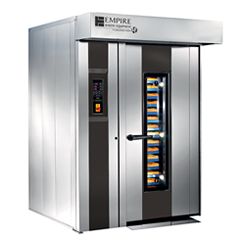 Empire’s LFR Rack Ovens are an ideal fit. We’ve incorporated the latest design principles for economy, safety, reliability and of course GREAT BAKING! 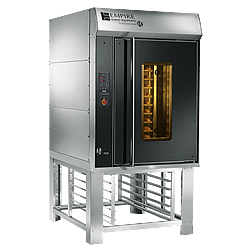 Whether you are baking breads, bagels or extremely demanding cakes and pastries, the LFR Rack Ovens will meet your needs. They can just as easily be used for cooking of poultry and meats. 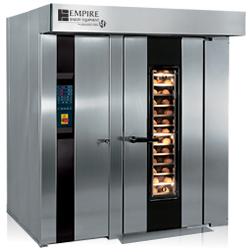 Empire Rack Ovens make the perfect addition to your bakery. 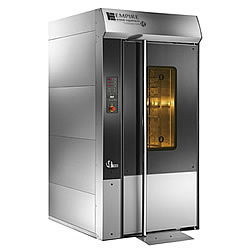 High Volume Production for your Supermarket, Bagel Shop or Bakery.